Hemant Bhavsar was born in Ahmedabad, India. He started his portrait painting work at the age 16 with his father Mr. B.K. 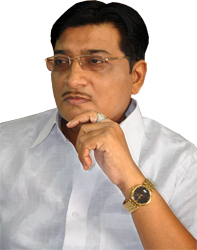 Bhavsar, very talented & famous artist in Gujarat, India. 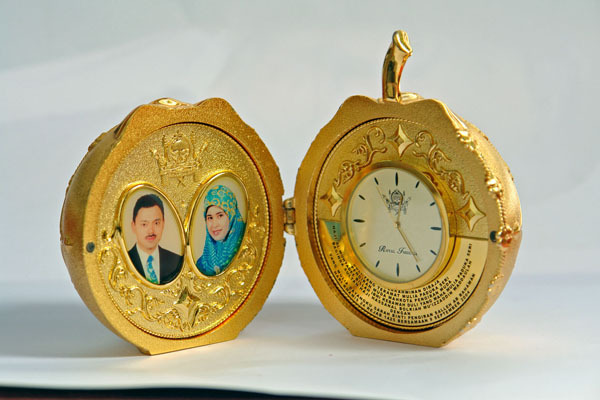 Art of painting is in his blood & he has developed it in portrait paintings very much. 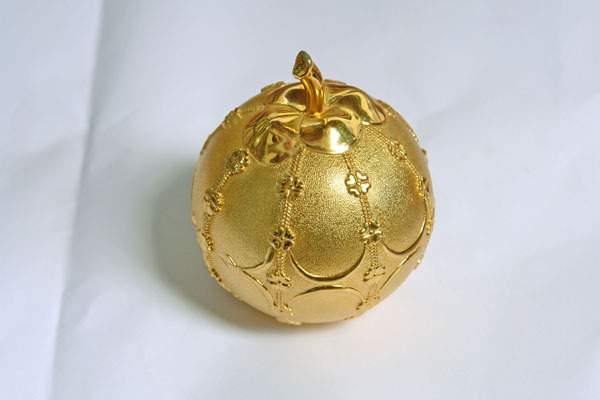 Hemant Bhavsar confesses that it is a god gift to him that he has received in heritance. He enjoys his each portrait painting. He believes that this is not only the work but it is worship. His sons Mehul & Hiren are also busy in painting world. 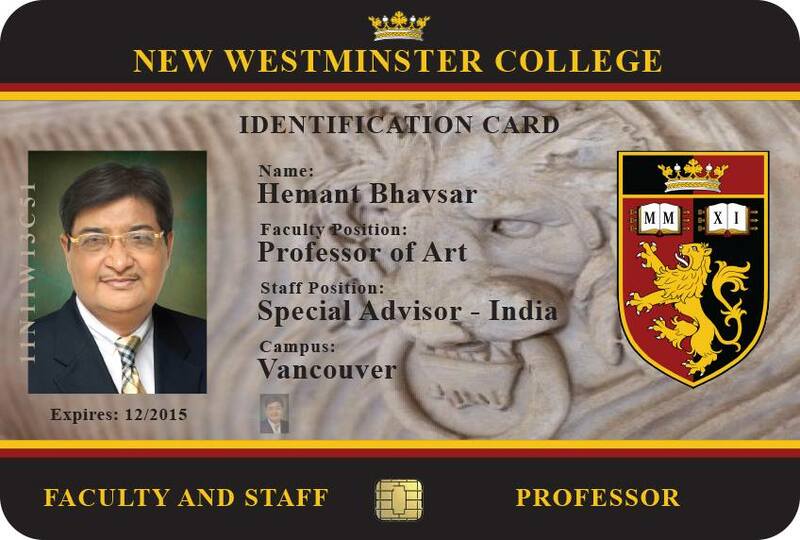 The portraits of noted artist Hemant B. Bhavsar reflects realism in the classical tradition. An exact likeness of the subject is conveyed in his portraits, which also portray the spirit and sense of presence of the individual in a sensitive and dignified manner. This is achieved through his extensive knowledge of the craft of painting, and over thirty-five years of experience in the field of portraiture. 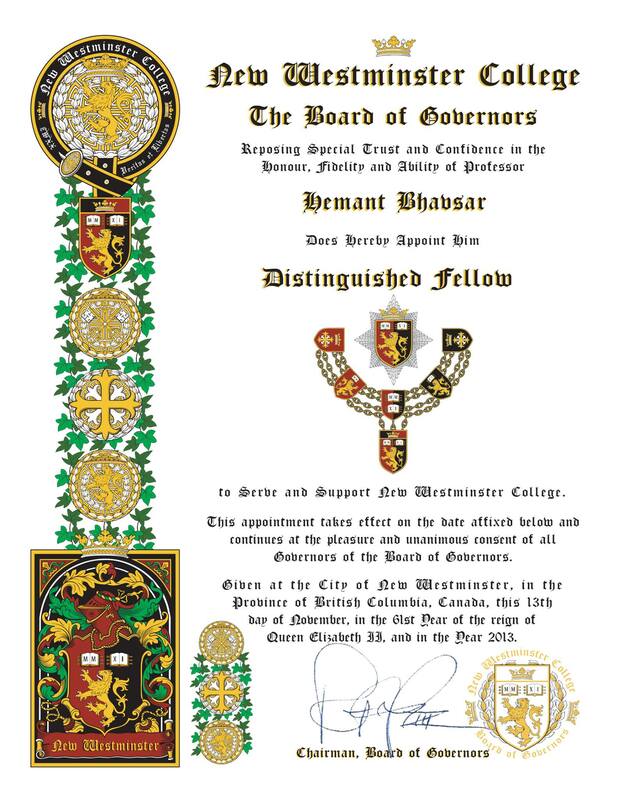 Hemant Bhavsar, a native of Ahmedabad, Gujarat, India, holds a B.Com Degree from the University of Gujarat He is the recipient of many awards & letters of appreciation of his art skill from many world celebrities. Specializing in oil portraiture, his subjects range from children and family portraits to personalities in the academic, institutional, and business world & Royal portraits. Of his work Hemant Bhavsar states, "The challenge of portraying the human face and form has always been a special fascination. The likeness must be exact and the painting must have sound design elements to make a beautiful and strong work of art. I love being an artist and God has blessed me with the ability to record His creations through the medium of paint." 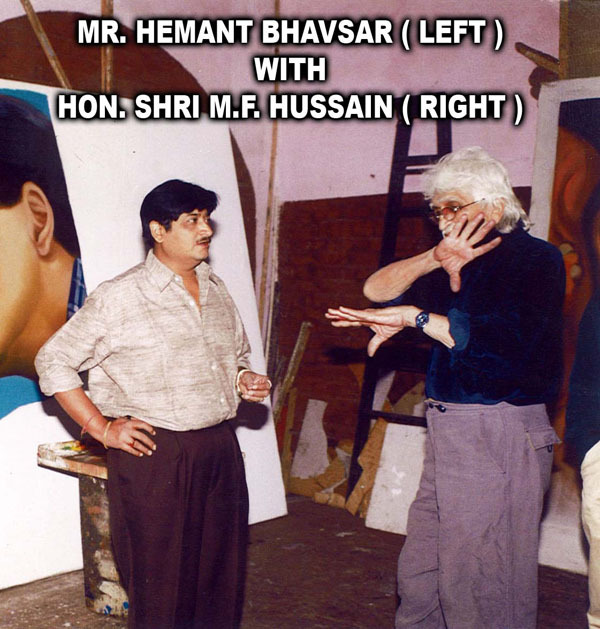 Hemant Bhavsar's work is much sought after and is represented in public and private collections not only in India but praised by all over the world celebrities. 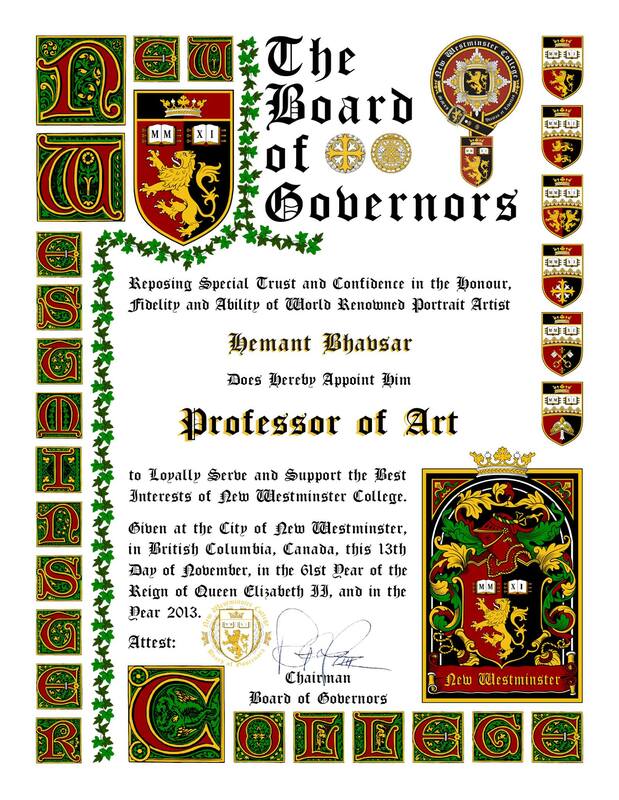 Only 85 persons from all over the World have received such kind of honor & he is the 1st portrait artist who has received this honor from New Westminster College in British Columbia, Canada.